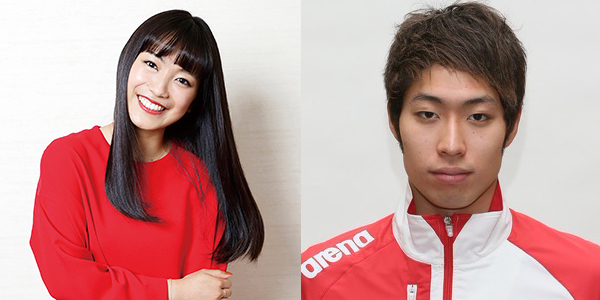 miwa and Olympic swimmer Kosuke Hagino are dating, according to a report from Sanspo. The two are said to have first met in October 2016. miwa was working with NHK at the time for the National School Music Contest. When she met Hagino, miwa was too nervous to say much to him, the report claims. In March 2017, the two met again while appearing on the NHK program "On My Way". Afterward, the two began spending more time with each other. The encounters began in group settings with friends such as eating dinner. Eventually, the two developed a romantic relationship, and have been dating for one year. Sanspo cited several people close to miwa and Hagino in its dating report, including Olympic ski jumper Sara Takanashi. There has not been confirmation of the relationship from either miwa or Hagino. Kosuke Hagino is one of the top swimmers in the world, and considered to be the Japanese version of Michael Phelps. He holds several records in Asia, and won the gold medal for 400 meter individual medley at the 2016 Rio De Janeiro Summer Olypics. miwa is a popular singer-songwriter with two #1 albums. She is best known for 2012 breakout single "Hikari e" which was used as the theme song to the drama "Rich Man, Poor Woman". miwa To Provide Theme Song For "Burari Tochuu Gesha no Tabi"